It is interesting how having a multi disciplinary approach helps you in your Investing career. I thought of running a thought experiment of applying this POKER thinking on the concept of Promoter buying its own shares. We have heard that if a Promoter is buying his own shares, it is good, isn’t it but if you look at the picture as a Poker hand, 03 scenarios show up. He has got a BAD hand (Horrible business, Dim future) and he is bluffing his way out of the situation. Betting big on every hand so everyone else folds. Usually nobody would fight an over confident prick, unless he is totally sure of the bluff. This is your typical pump and dump scheme. He is an idiot. He thinks, he has got an above average hand and whereas in reality its just about average. (trying to go all in with 03 of a kind) In business, this can be a case of Over confidence bias, or adrenaline pump due to previous success, a credit cycle that has gone in your favor and you start thinking yourself to be invincible. He has got 04 of a kind. 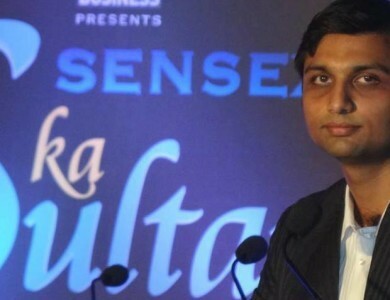 He is a savvy investor and knows that he has got an incredibly awesome hand. (bright future, solid business) and without showing any over excitement, he wants to bet as much as possible to get the maximum juice out of a sure shot thing. Now, As an investor/trader, you need to assign probability to which of the 03 scenarios is playing out and based on your calculation decide if this insider buying is actually a positive, negative or neutral event. 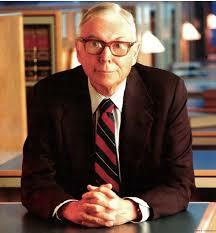 Charlie Munger’s Misery in LIFE Speech. thank u, i am glad you liked it. To start with, I must say you write stuff which I like to read. It helps me to gain a different perspective which is what we read for. Regarding the note, if we take this thought experiment further by analyzing how each scenario plays out, we can assess how it affects our overall investment thesis. Lets see. Scenario 1- If we have assessed the business well, we know that promoter buying or not we should not have anything to do with the business/ buying a share in the company. So this one is easy. Scenario 2- Again, if we know that promoter’s hand is below average, we will anyways stay away. Scenario 3- Here, if we have assessed the business to be great (having a sustainable competitive advantage, moat, high entry barriers, supportive regulatory framework, industry tailwinds etc.) and the savvy promoter/ investor is buying, we know what to do- Buy the stock. So, essentially the inference to me is that irrespective of promoter buying or not, we need to be sure of the inherent strength of the business. Once we are sure of that, promoter buying can be a sort of a corroboration to the same. It should not form basis of our investment thesis but as a support to it. I hope I have been able to articulate my thoughts. Your comments/ criticism is welcome. Hi Paras, thanks for writing. I agree with your conclusion in case you have been able to draw your inference. That usually happens in well researched already established companies. But in stock markets, the information is a premium and sometimes (not always) promoter knows wat he intends to do with a situation and the world doesn’t. This kind of uncertainty is prevalent specially in case of Spin-offs and demergers where you do not have enough information to take an independent value call on the business. case in point was my investment in Intellect and Maxvil. a loss making unit or a small obscure piece been hived off and promoter showing special interest in it, kinda gives away his hand. In those situations this poker skill becomes potent, don’t u think!!? True. I agree that sometimes, when additional information regarding the future potential of the business is unavailable, promoter buying and/ or his special interest in a dull demerged entity can be a give away. How can I not agree, I myself have been invested in MaxVil since early days of listing 🙂 Though one needs to have confidence in some other aspect of the investment opportunity (e.g. Analjit Singh and the vision of the company in this case) to form a conviction.. This is Max Group so we know there are no integrity issues but in case of some other obscure company, we have to be very cautious..
Scenario1: Negative event for an investor but can be a good trading strategy to short. A thought provoking insight on Promoter Buying. So what are your thoughts when Kishore Biyani the promoter is buying shares of FEL in bulk ? Is he confident or over-confident ? I have FEL from 16 so i am biased. but with his foto on forbes is a contra indicator and i have tighten my stop loss.